The five-concert ticket is set to go on sale Friday, January 25. 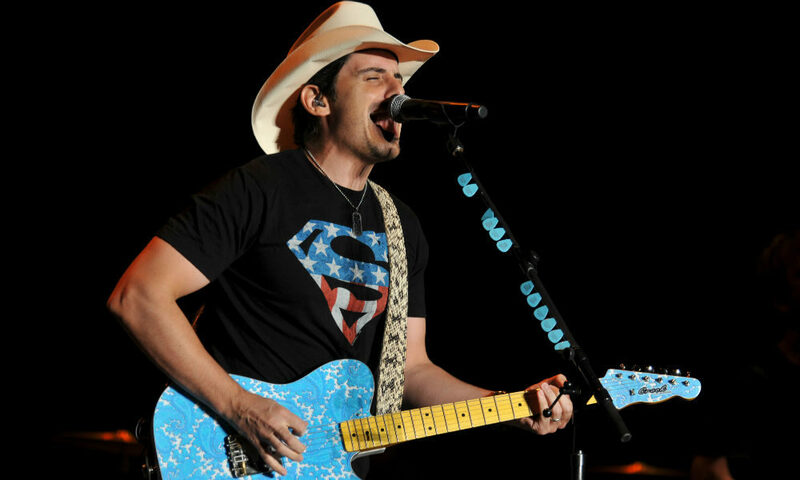 Brad Paisley is one of five headliners whose concerts at SPAC are part of the 2019 Country Megaticket. I definitely wouldn’t say country is my favorite genre of music—the radio in my car is preset to WEQX 102.7 and ALT 104.9 and even WAMC 90.3—but I do still enjoy it. Read: I can’t help but sing along when “Burning Man” by Dierks Bentley comes on in my boyfriend’s truck. And even though I stand by my opinion that Imagine Dragons was by far the best Saratoga Performing Arts Center (SPAC) concert of 2018, Jason Aldean was pretty great too (I was out of town when Dierks performed with Brothers Osborne and LANCO, unfortunately). You just can’t sing along at an alt-rock concert like you can at a country concert. So when I heard Live Nation was again offering its Country Megaticket—five country concerts at SPAC for a discounted price—this year, I took notice. SPAC announced this year’s Megaticket on its @spacconcerts Instagram account January 18, and tickets go on sale to the general public this Friday, January 25 (pre-sale options are available for 2018 Megaticket buyers). This year’s performances include Chris Young with Chris Janson on Saturday, May 25; 107.7 GNA CountryFest starring Old Dominion with Big & Rich, Eli Young Band and more on Saturday, July 6; Luke Bryan with Cole Swindell and Jon Langston on Thursday, July 11; Brad Paisley with Chris Lane and Riley Green on Thursday, July 25; and Jason Aldean with Kane Brown, Carly Pearce and Dee Jay Silver on Thursday, September 5. Country fans can choose from three ticketing options, all of which get you into all five shows, as well as pre-sale access to the 2020 Megaticket; the gold ticket is $650 for a seat in sections 1-12, the silver ticket is $499 for a seat in sections 13-30 and the lawn ticket is $149. (All tickets are subject to additional processing fees.) Tickets are on sale until Thursday, May 9. So while I sit around waiting for Imagine Dragons to announce their 2019 return to the Spa City (fingers crossed), I might as well splurge on the lawn Megaticket—five concerts for $30 each is just too good to pass up.